The Maximum Attack Web Panel event rewards will start rolling out, along with the 3rd Anniversary revival scratch, after today’s maintenance! You can receive this Org Blan inspired weapon camo by purchasing the September Issue of Famitsu Connect!On. This magazine went on sale July 27th, 2015. 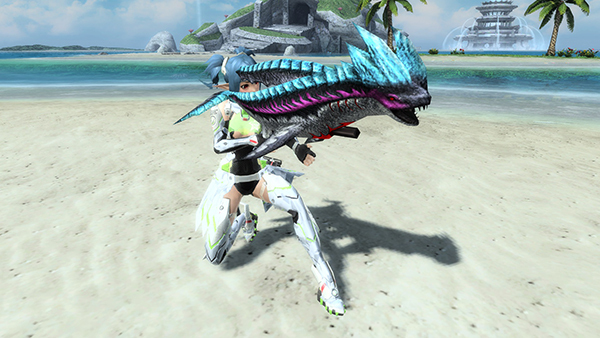 You can receive this Shoulder Riding Necky accessory by purchasing the August 6th issue of Weekly Famitsu. This magazine went on sale July 23rd, 2015. The development team is currently undergoing the final verification process for Windows 10. At this time, they ask that you please refrain from upgrading to Windows 10 until the verification process is complete. In addition to everything previously stated, you just need to reach level 75 to activate the boost of that class. For example, reaching level 75 Braver activates +2 PP, +20 S-ATK, +20 R-ATK, and +30 DEX for ALL Classes. These boosts apply to all the characters on the account. You have until August 5th to participate in the [Winged Border Breaker] Limited Quest and the [A Profound Invasion] Emergency Quest! The Suzuhito Yasuda collaboration characters will depart from the lobby during next week’s maintenance. Clear Clara’s client orders before then to gain their partner cards! The Crafting Shop is not included in the Recycle Shop discount. Products that cost  item are not included in the Recycle Shop discount. A transfer device will be implemented at the start of the quest. It is, but only until august 5th in Japan. Before next maint. Regarding windows 10 support, go ahead and update. I’ve been using the insider version for about 2 months and PSO2 itself has always worked perfectly well on it. The only issue was gameguard not recognizing the OS up until about 2 weeks ago. Latest update however added windows 10 support, so now the game works perfectly. whenever i play pso2 on windows 10, i get the NP1002 error, i upgraded from windows 8.1 to windows 10 yesterday, can anybody help with this? Delete the GG folder so pso2 will redownload it. 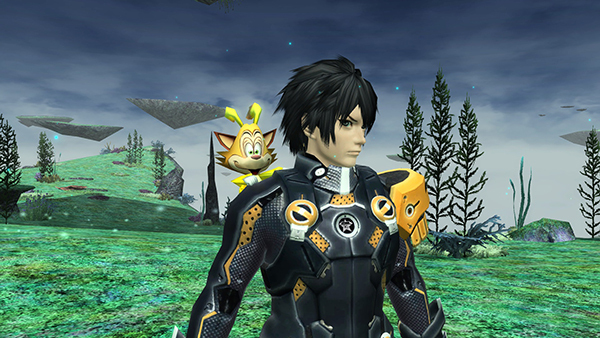 But seriously, I’ve been using pso2 on win 10 since around 2 weeks ago, with the tweaker, pso2 virtual connect and pso2 chat translator, all on at the same time. No issues whatsoever. you’re not getting the random crashes in game? That’s cause you are using the insider build that’s supported by pso2 however the public RTM release isn’t. I feel like this will be an issue with Windows 10 roll out updates if SEGA doesn’t do something about GG or just replace it with something better. I am exping random shutdowns in pso2 since i updated the OS to windows 10 a few hours ago,once when i was in the middle of a EQ and another when i was in the middle of exp grinding,is anyone else exping this? I believe Sega is making ajustements for the game to be compatible with Win10 and advised people not to update their Win10 as long as it’s not over. So update or not, I guess that Windows 10 users will still risk this kind of problems as long as it’s not totally done. Hello, I’m currently having some major problems with the servers as the servers keep saying that I’ve timed out, but my internet connection is stable, not only that but I’ve been able to play online for a short while (About 5 – 10 minutes) when I get the 630 Error Code. Afterwards I try to relogin and then it’ll say that the server has timed out. I have restarted my computer countless of times only to recieve the same message and I just don’t know what’s wrong anymore.